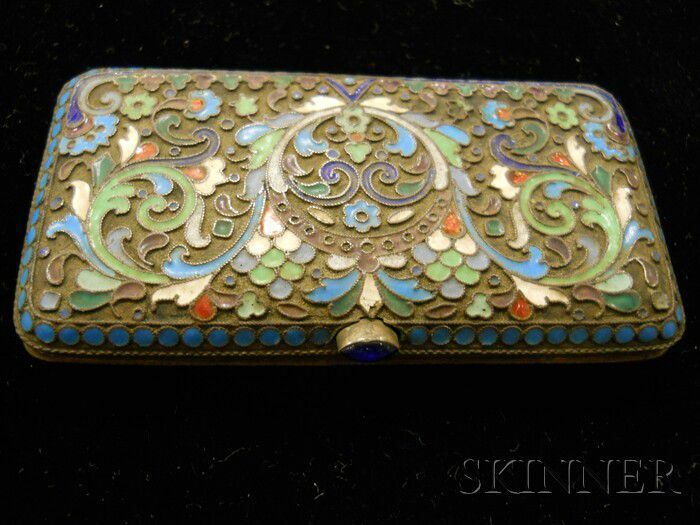 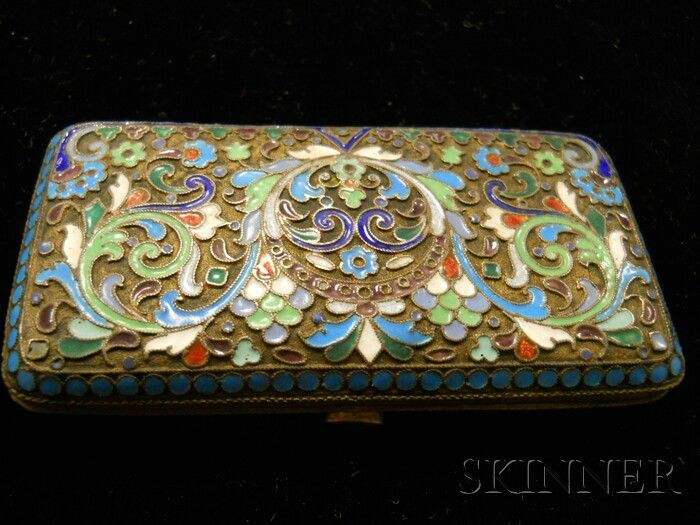 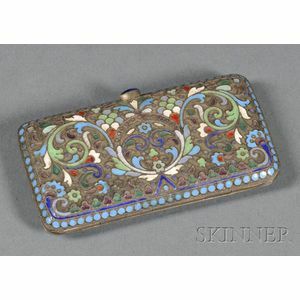 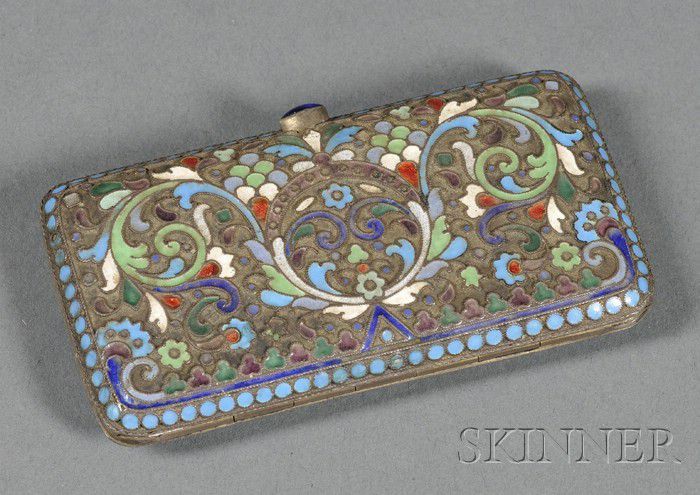 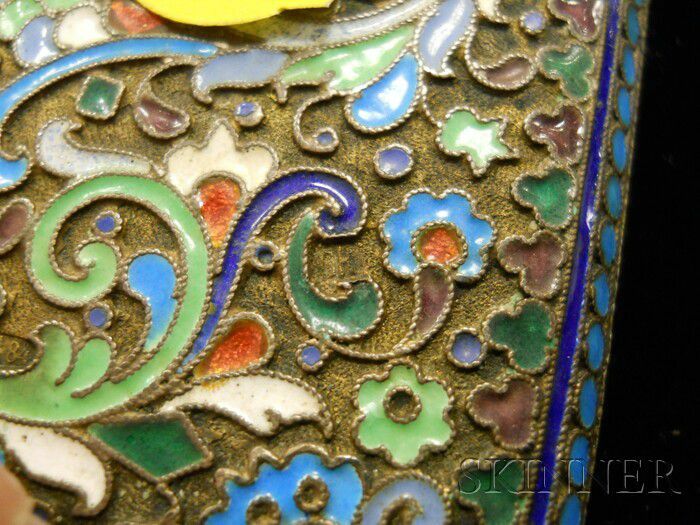 Russian Silver and Enamel Coin Case, 1908-17, rectangular, with multicolored foliate scroll enameling, blue cabochon stone latch, interior moire lined, wd. 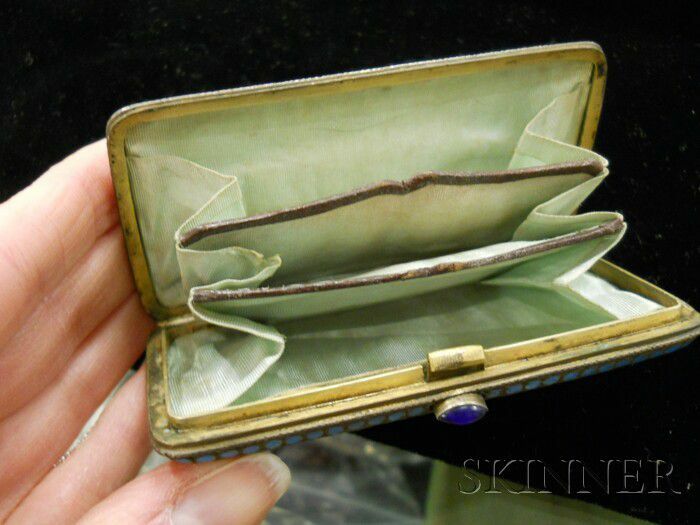 3 3/4 in., approx. 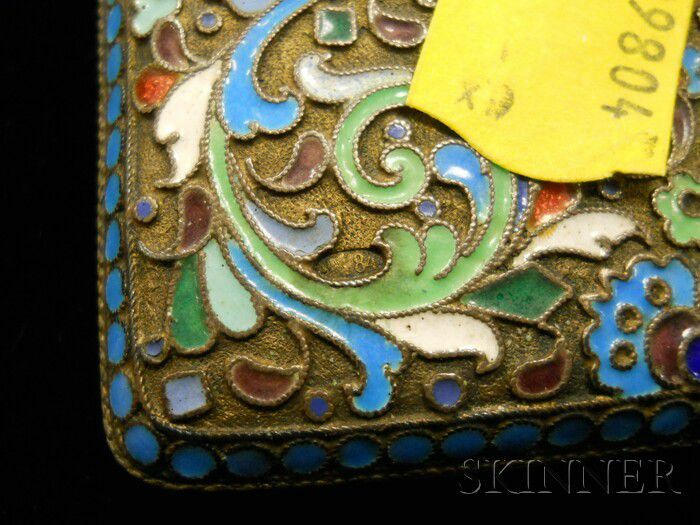 3 troy oz.